This colorful wreath is made from coffee filters that have been dyed with food coloring. First wrap your wreath with strips of cloth if you might want to reuse the wreath again for anything else. The cloth helps to make your filters stick better too. Attach a ribbon hanger to the wreath (it is easier to do this now than later). Separate the coffee filters and make dye with food coloring. 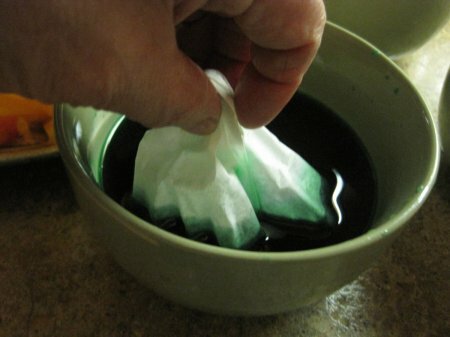 Start out with just a few drops and put about 1/2 cup water in a bowl. If it is too light, you can always add more. If you find it is too dark, add more water. You can make all kinds of combinations of color. Just look on the outside of your dye box and it will tell you how much to use of what. 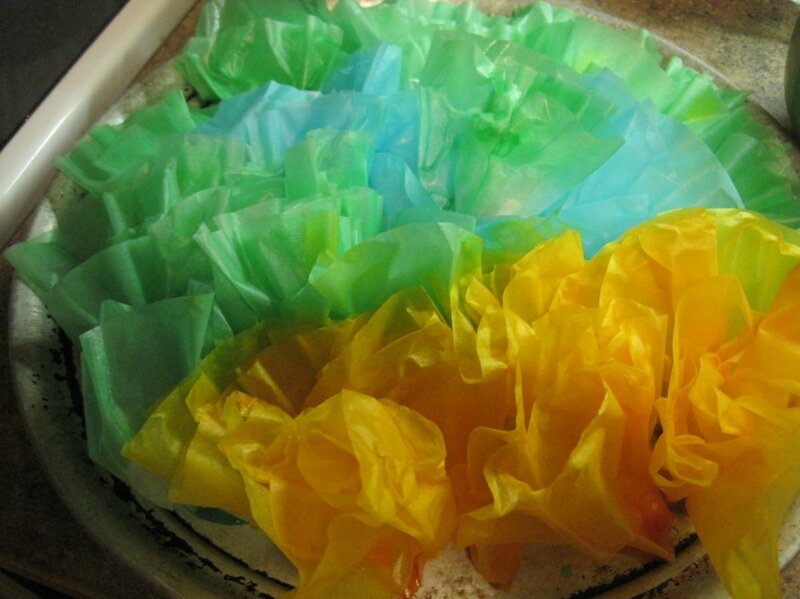 Pinch the filters at the bottom, dip each into food dye. Lay on cookie sheet. You can overlap them somewhat and it doesn't matter if the dye runs into each other. It looks kind of pretty that way. If you care to dry them faster you can put them in the oven at the lowest heat possible (mine is 170 degrees) to let them dry. They get a little brown at the tips, but it makes it look more interesting, I think. Otherwise, it takes a long time for them to dry. 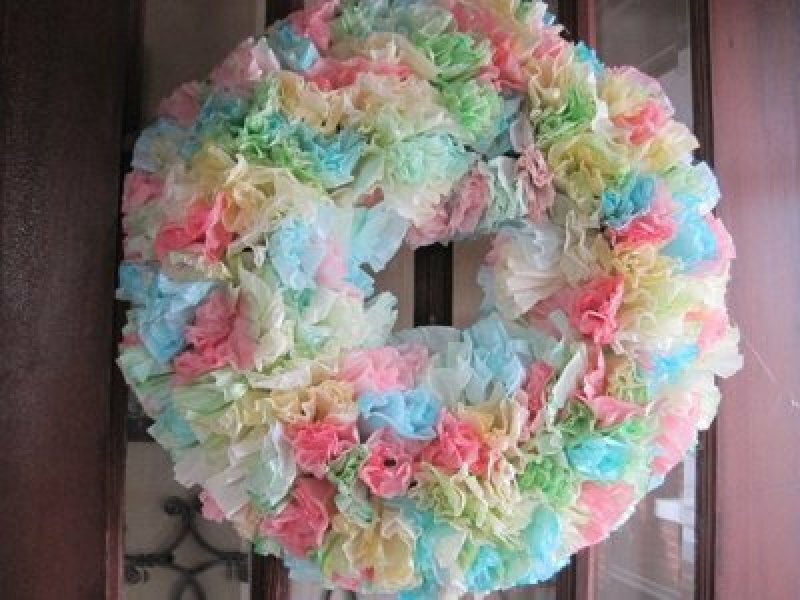 When completely dry, you are ready to assemble your wreath. 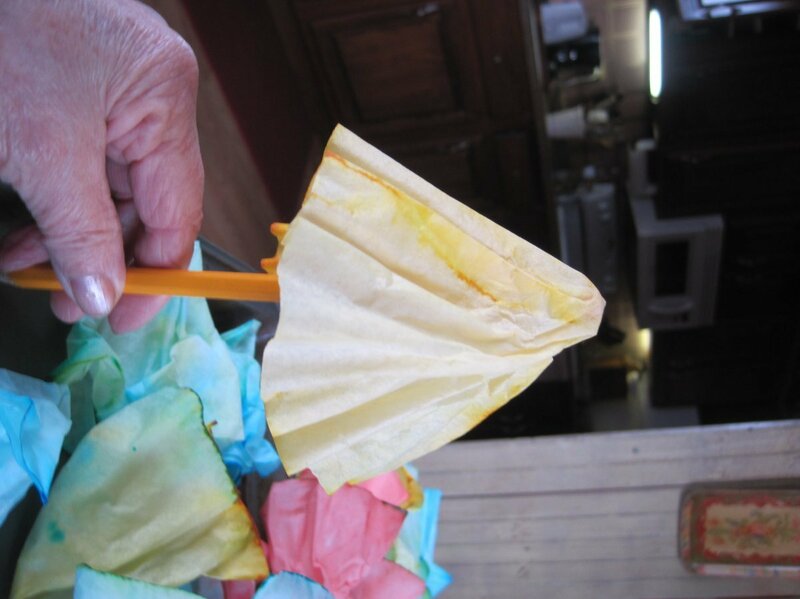 Take a filter and with a pencil put it inside the filter as shown in photo, use your glue gun and put a dot of glue on the tip. Starting from the outside of the wreath, begin gluing. This takes quite awhile, but then I put them pretty close, too, so if you want a sparser wreath, it won't take so long. You can make it look more springy by not adding so much dye to the water. Here is the second one I made using less dye. Clever idea and disposable eventually, without much regret. What a beautiful wreath! I'm sure you could sell alot of them. Cool, I really like them both, you made it look simple and beautiful. Thank you all, I had fun making them! I really like this. I'm thinking I'm gonna try this for different holidays as well. 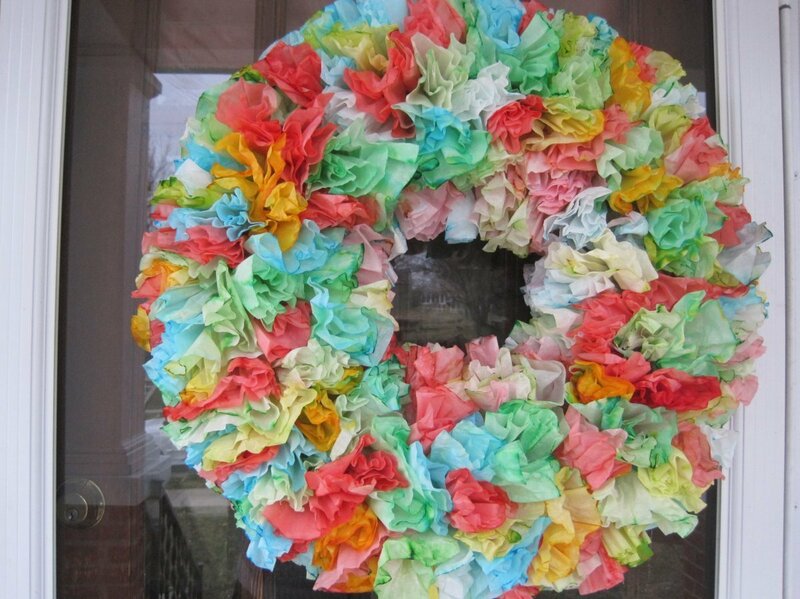 What a great wreath. Thank you for the idea!